There needs to be one of there around. Also, if anyone knows where an attacks Power, Hit Rate, PP (which might be in here), and attack type are located, could they please tell me. I've bean wanting to do Pokemon yellow glitch attacks for a while and I can not. ......Nice job, Koolboyman, but the toggle safari zone/other stuff....how do I use it. The things that say "_ or not?" example: Safari Zone or Not?. Please help. Also, D005 forces an encounter. The value determines what you fight. D057 is set to either 0 or 1 by the game itself, it's always 1 during battle and 0 outside of battle. If you set this value to 0 when there is an opposing pokémon and try to attack the game will crash(unkown opcode). 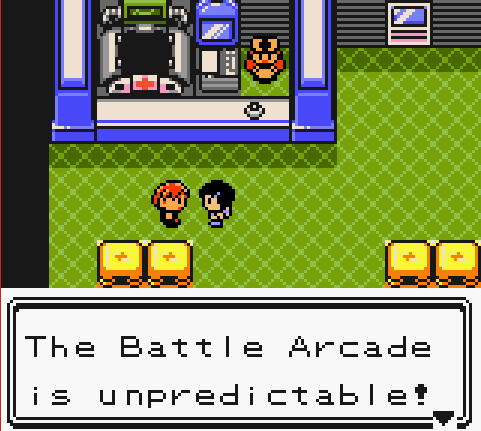 Set it to 0 after all the opposing Pokémon have fainted and you will fight a glitched Pokémon! You just have to remember to set it to 1 again after the glitched Pokémon is sent out to prevent a crash. This works for wild battles, I haven't tested trainer battles. D058 is also normally 1 or 0. Set it to 0 during battle and your Pokémon won't receive exp. after defeating an opponent. EDIT: Seems like D057 is in fact on the list, but with a different description. EDIT2: I tested a value of 1 during a trainer battle, this causes the battle to end when you defeat 1 Pokémon. No money is awarded. A value of 0 also does not seem to crash the game when fighting a trainer and causes the trainer to send out the same Pokémon after fainting it. EDIT3: Setting the value to 0 does not cause a glitched Pokémon to appear in a trainer battle. Edit: Everything is fine now. Maybe it was just down for maintenance. that link is broken again.. I'm being stupid but how do you use these? Is this for a gameshark?